When fitting new brake discs the vehicle manufacturer's instructions must be observed! 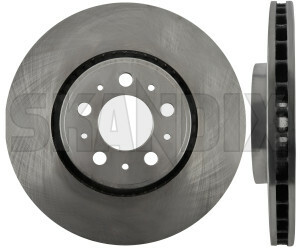 - The contact surface of the wheel hub to the brake disc must be completely clean and free of grease. - Calipers and pads must be free moving. Neither brake system nor suspension may be excessively worn. - The wheel bolts or nuts must be evenly tightened crosswise with the specified torque.